The year 2000 marked the debut of the brand 7camicie, a famous production enterprise in the fashion industry, particularly specialized in the production of shirts. 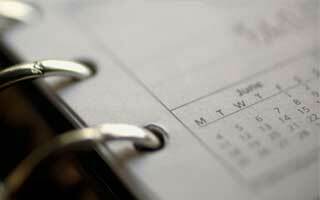 From the creative genius of its President David Hassan comes to life a company destined for success. David, a charismatic and innovator leader, started from the idea of offering a shirt for every day of the week and he chose a name that brings with it the history of a long pondered invention that has been studied in the detail. 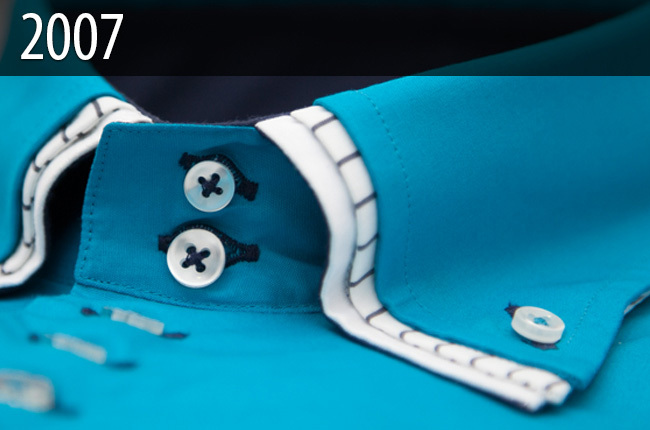 7camicie has reinterpreted the shirt with an eye to the future and offering a wide range of products carefully refined and addressed to all types of customers that can choose their perfect garment: formal and fashion shirts suitable to all occasions. 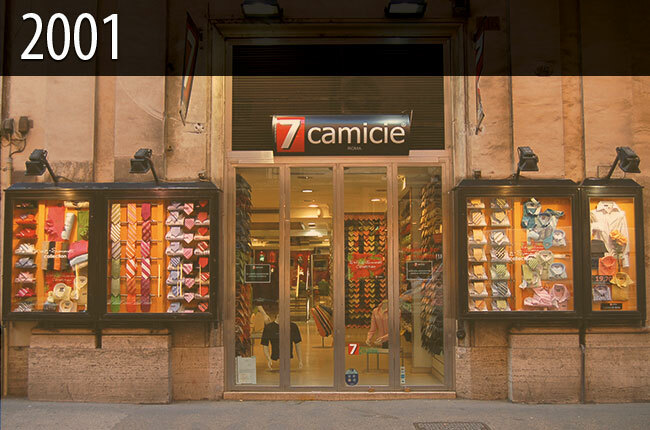 The company, which recorded a great success in just over a year, opened its first retail store 7camicie in Rome, in Via del Corso 416, the beating heart of the city trade. 2001 was the year in which 7camicie opened its doors and welcomed customers that bought products from the collection 7camicie, the echo of which reached overseas countries too. The quality and the innovative fantasy of the garments fascinated the customers: no company never before had hit the audience so quickly and with such a high level of customer loyalty. The first step for the birth of the brand destined to revolutionize the shirt concept has just been made. After just two years from its debut, the company opened its first franchising store in the Lazio region, thanks to the innovative and affordable affiliation formula designed by the owner David Hassan. 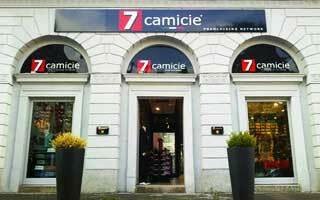 In 2002, 7camicie overcame barriers: it went beyond national borders and opened its first retail store in franchising in the famous city of Granada, Spain. 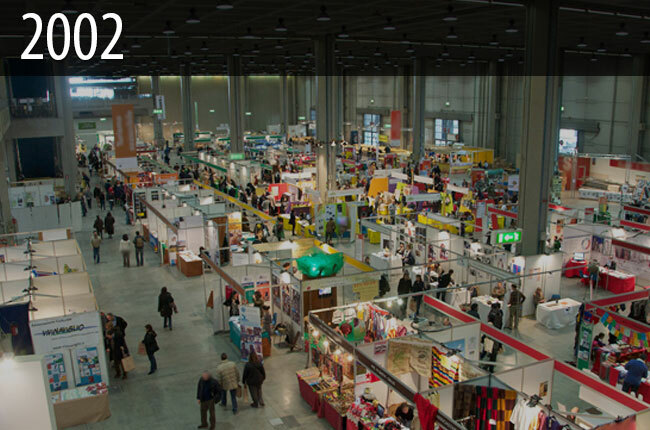 2002 is the year of the first participation of the brand to the famous franchising fair of Milan: it is just the beginning of the commercial plan that will lead to the international development of the brand. 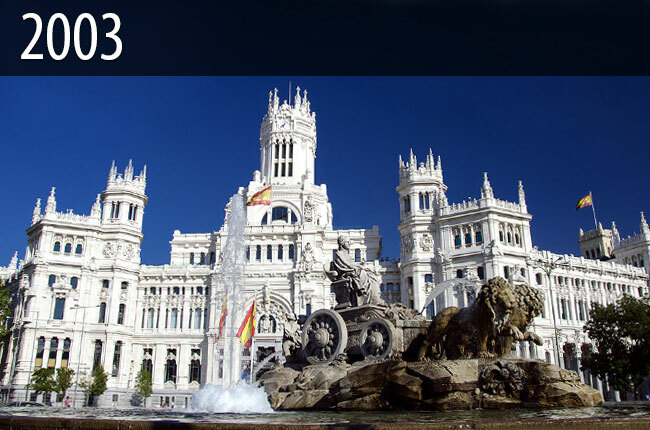 In 2003 the company focused even more deeply on a cross border expansion: this was the year in which 7camicie opened its doors to Spanish customers, opening the first store in the capital of the Iberian country, Madrid, in the central and ancient trade route of the city. The company, committed in the trade expansion, never lost sight of its main focus: to offer always-new formal and casual shirts to meet the needs of numerous and more demanding international customers. 2004 is a year of great breakthrough from the point of view of style: the company, whose strong point is its franchising formula, with the help of a team composed by the greatest experts in the field, is dedicated to a reinterpretation of the style. 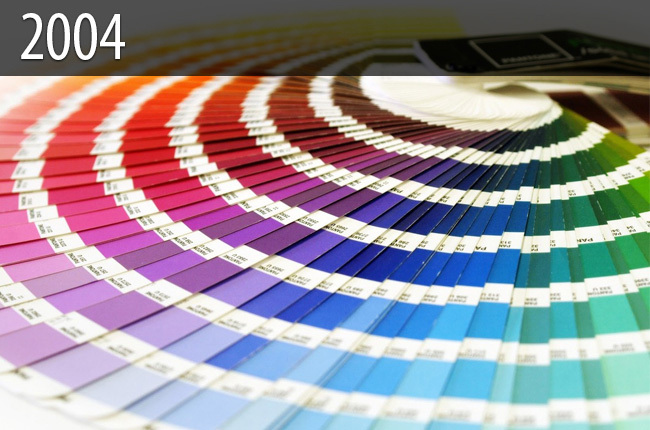 It is the year of the launch of strong colors and more extroverted patterns, which recorded an incredible increase in sales. The president David Hassan, together with his trusted associates, received several awards. The international press praised the company for having been able to revolutionize the concept of shirt, and having made it the garment for everybody, for every day. Also in 2004, the company continues its strategy of international growth with new openings, one among all, the store of Barcelona. 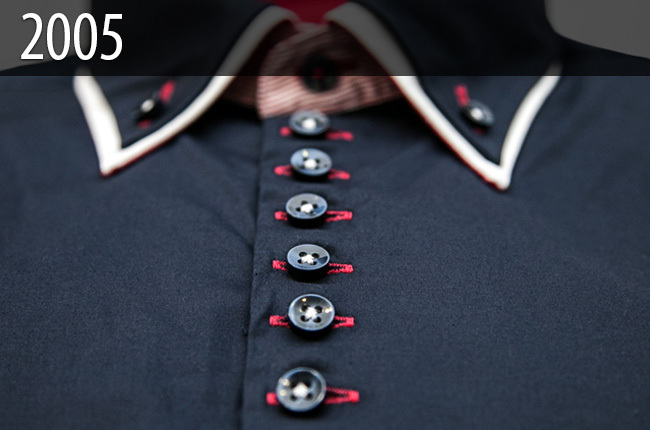 It is the year of the new 7buttons model: the innovative and revolutionary shirt designed by the company. The new model, with a 7-button placket that extends in the upper part of the length of the garment, got great approval from the customers. 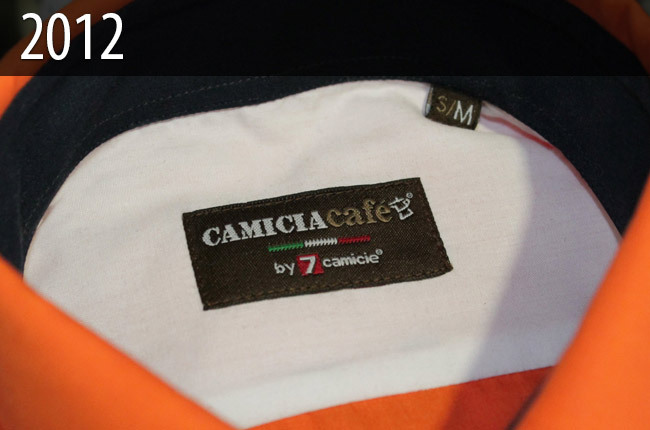 7camicie improved the styles, colors and shapes of classic shirts, gradually expanding the loyalty and satisfaction of its customers. The company never lost sight of the development of the sales' core: the shirt. 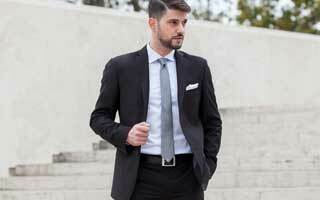 The departments involved in the development of new models, as well as in the production of the same with the most advanced tailoring techniques, created, in 2006, a number of refined details and thoroughly studied, which could increase the value and the quality of one of the most popular products in the world. The traditional shirts of the collection are enriched by the new double-collar and the interior of the collar, cuffs and placket with contrasting patterns, fabrics and colours: a symposium of details that no one had ever seen before. The continuous search for product innovation and production techniques is one of the distinctive features of the David Hassan's company. In fact, in 2007 the company experienced the launch of a new detail: after the success of the double collar garments, 7camicie decides to dare. The peculiar triple collar, composed by three layers of fabric with different colours and patterns masterfully combined, did not disappoint its customers. The modernity of the garments offered by the company, combined with the typical quality of tailored shirts, created precious and valuable garments. 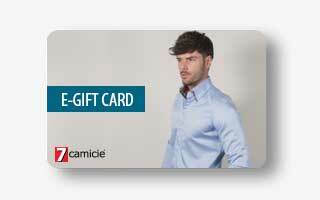 Beside shirt specialization, 7camicie has included new products categories carefully studied in each detail: knitwear, trousers, ties, suits and accessories, addressed to all types of customers for a total look of guaranteed success. 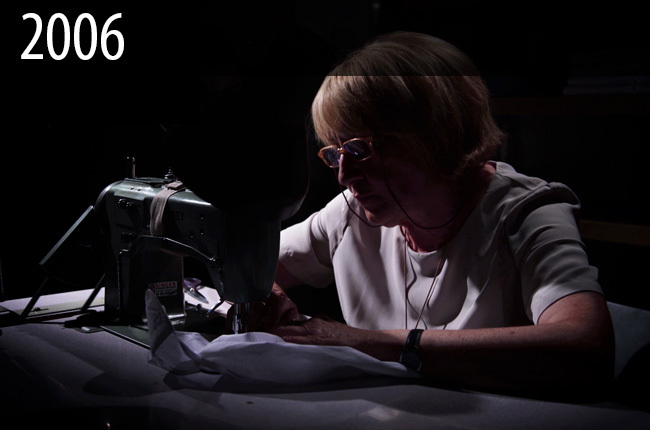 In 2008, 7camicie started a new and challenging path: it created, tested and launched the shirts for children. The colourful shirts for men became, in miniature and with new models, sales leaders for the younger ones. 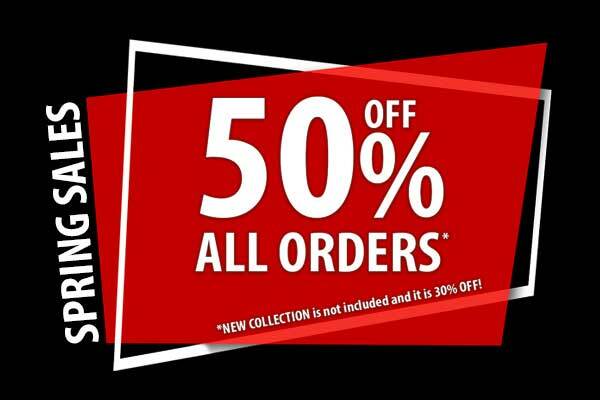 Immediately, a few days after the launch of the collection, the company recorded a great appreciation from its customers. All its historical customers and a number of new consumers fascinated by its innovation approached 7camicie, discovering the wonderful world that distinguished it. Men, women and children: no one could do without 7camicie that, in the same year, renewed its layout: starting from the brand and arriving to the design of its franchised shops, everything acquired a touch of freshness and innovation. The new colours of black and red chosen by the company became a distinctive symbol of 7camicie in all the countries in which the company has been continuing to open new and elegant stores. 2009 marks the first participation of 7camicie to the famous franchising fair in Paris: thousands of entrepreneurs, excited visitors and curios eyes crowded the brand booth that, not by chance, opened its first shops in French territory. In the vortex of innovation and invention, 7camicie did not renounce to events of great echo from an international point of view. In the store of Milan, Paul, one of the more loyal models of the company, lived for two days and two nights in the shop. The event, which had an international stir so as to appear on the major American and European tabloids, including the BBC, found great acceptance among the company's customers and employees. "The network that made specialization the starting point to impose an original image also abroad." With this motivation, 7camicie, for the year 2010, won the prize Franchising Awards, one of the main praise of the field, for its commitment and for the role it played in the international market. 2010 recorded, in fact, a total of more than 100 stores around the globe, with awards, prizes and advertising on the major national and international magazines: that is the case of GQ in Spain and Diva e Donna in Italy. In 2011, 7camicie continued its expansion into East and West. It is the year of the opening of the stores in Whenzhou, in China, and of the participation to the famous franchising fairs, in Mexico and Brazil. It is the year, in addition, of the partnership with the famous Golden Theater, together with the new collection of shirts that, once again, will leave customers fascinated. With great inventiveness, the company promoted new and very special models of shirt, intended to ride the international fashion scene, contributing to the brand awareness of a brand that does nothing but surprise. The number of the customers who loved the brand grew rapidly. 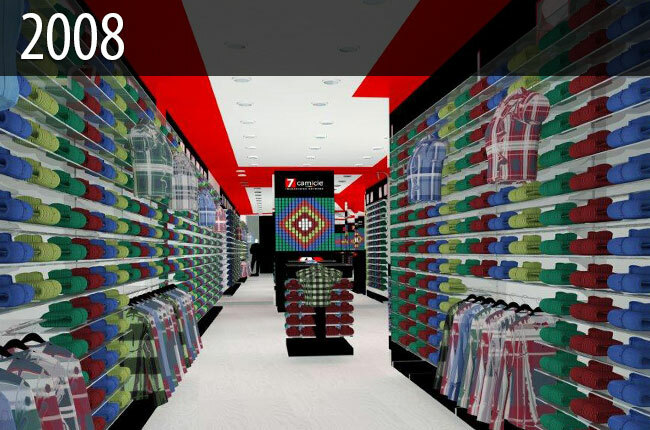 In total, in 2012, the company had the first 200 stores around the world. Dresden, the headquarter of one of the store businesses and a well-known center-east city of Germany, launched a very successful contest: Miss 7camcie, which recorded the warm participation of many customers of the international brand. In an attempt to get closer to its people, the company gave life to the B2C ecommerce project, for the online sale of its shirts and to entertain direct relationships with customers coming from various corners of the world. The incredible inventiveness of the founder gave life, in the same year, to the project Camicia Cafè, with the launch of a whole collection of shirts that recalled the Italian style by combining the Italian tailoring tradition and the first Italians passion: coffee. Not least, the obtaining of the certification for compliance with ISO 9001, an international reward for the quality of management processes, which marked a year that was a symbol of the great success of the company. Since 2013, 7camicie has experienced an incredible immeasurable growth of affiliations all over the world, opening up, one after another, many shops in the most important countries in the international scene: it was the turn of Brazil and Venezuela, in the magnificent city of Puerto Ordaz. 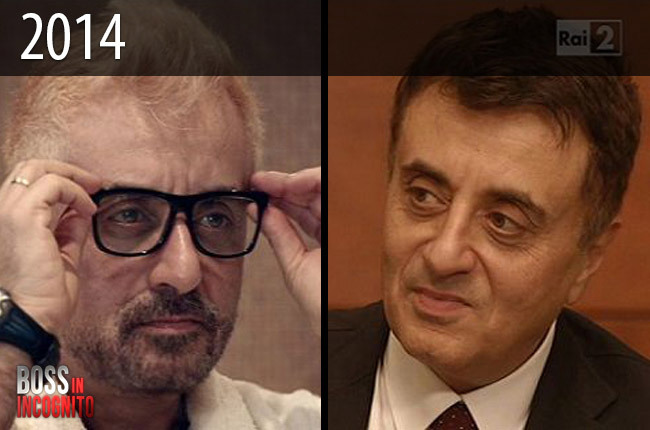 The commercial genius of David Hassan has become a phenomenon of great magnitude. 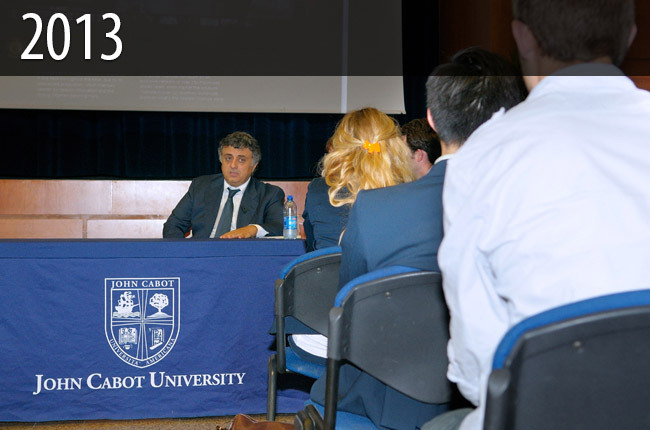 The owner of 7camicie is invited at the famous John Cabot University, to bring students the business experience of growth and innovation of a company that, in a few years, has become a symbol of Italian style worldwide. The case of the company became the star of numerous TV channels from different countries: of global resonance, an episode dedicated to the brand on the known TV channel UBC. Together with the relentless and continuous growth of the retail stores in the franchising formula all around the world, the President David Hassan receives constant requests for participating to conferences, lectures and television programs. 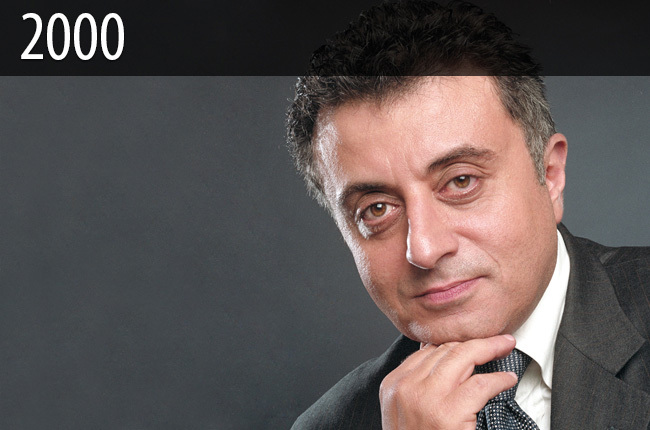 For the University of Michigan, the well-known entrepreneur gave marketing 2.0 lectures, bringing his valuable experience of leading actor on the market. Throughout his country, the Bocconi University invites the president to take part in numerous conferences in the field of franchising, entrepreneurship and business strategy. The national TV channel Rai 2 dedicated the first episode of the program “Undercover Boss” to 7camicie and David Hassan. The president, acting as a new employee working in the operational departments of the company paid homage to those who have made his company an international reality and has the opportunity to understand the aspects of the company that should be improved. 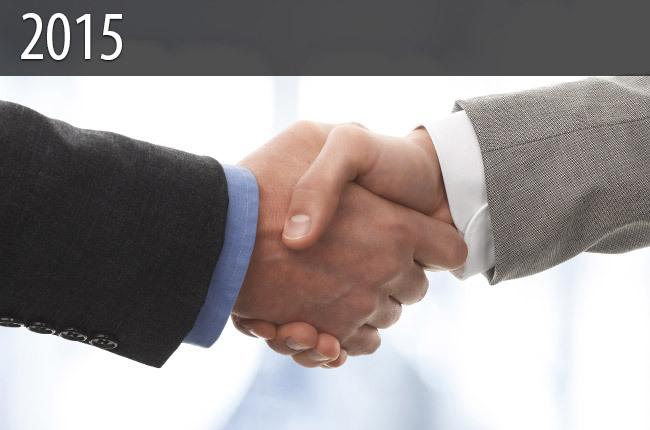 In 2015, the important trade agreement was signed between two main companies, dealing with the production and the distribution of shirts based in Colombia and China, and 7camicie, to start the development work of the Italian brand in all the countries of Latin America and Far East. It is a fundamental turning point for the brand of shirts, with its wonderful typically Italian features, which will be able then to expand its already wide horizons, exporting the purely Italian elegance and style not only to the European countries, but also to all the South American and Far East countries, with the invaluable collaboration of local partners. During 2015, 7camicie flies overseas with the opening of a new shop in the beating heart of United States: New York.